The conference chairs of the Society for U.S. 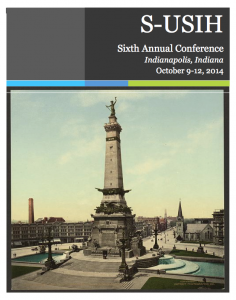 Intellectual History (S-USIH) invites individual paper and panel proposals for its sixth annual conference to be held at the Omni Severin Hotel in Indianapolis, Indiana October 9-12, 2014. This year’s theme is “Materiality of Ideas.” This subject calls attention to the history of ideas by focusing on the various embodiments of American thought. This can include considerations of the relationship between immaterial and material realities; the development of American thought through the production or reproduction of ideas; the substance of thought, including the presence or absence of material objects; the manifestations of thought in economics, politics, or culture at local, national, or global levels; and, materialization in intellectual history including, but not limited to, book culture. Although proposals that relate to the theme are encouraged, the committee also welcomes submissions that are relevant to any aspect of the study of American thought. For the complete description please see the Call for Papers. 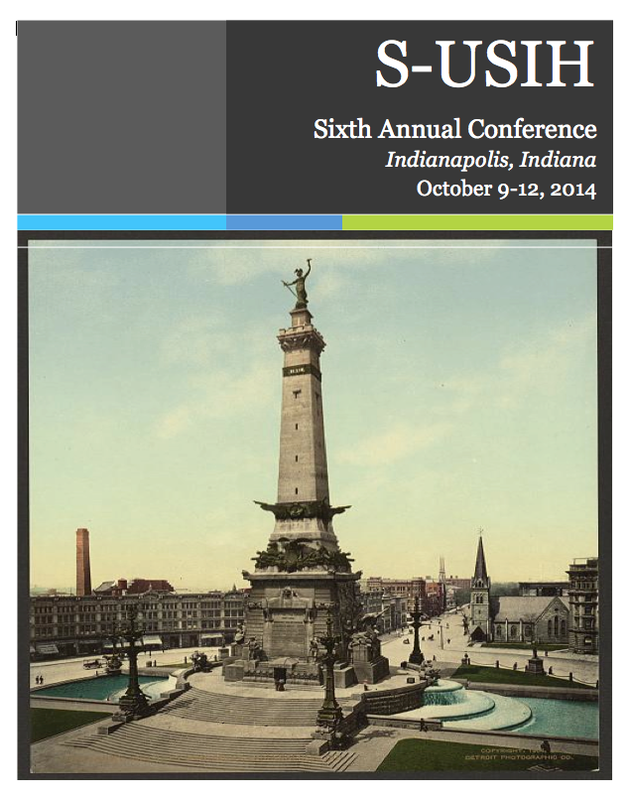 To exchange ideas for panels please go to the 2014 CONFERENCE FORUM. CARA BURNIDGE, Co-Chair 2014 Conference. 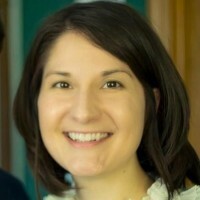 Cara L. Burnidge is a historian of American religions with Ph.D. in Religion from Florida State University in August 2013. Interested generally in religion and politics, her research focuses on the relationship between religion and politics, especially U.S. foreign relations, in the early twentieth century. Her current research reconsiders the standard narrative of American Protestantism during the Gilded Age and Progressive Era, challenging the conventional wisdom that liberal Protestants lost their optimistic and progressive reform impulses as a result of World War I. 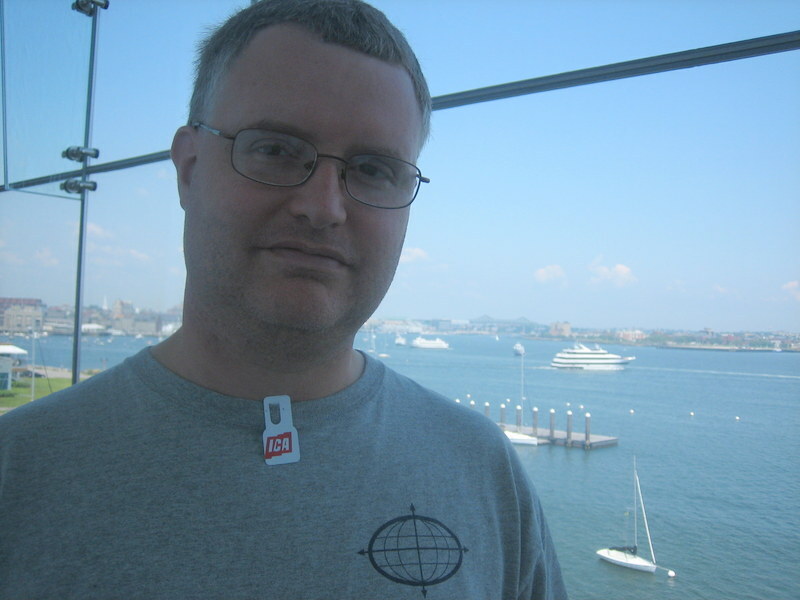 MARK T. EDWARDS, Co-Chair 2014 Conference. Mark Edwards teaches US history and politics at Spring Arbor University in Spring Arbor, Michigan. He is the author of The Right of the Protestant Left: God’s Totalitarianism as well as a regular blogger at Religion in American History and an occasional blogger at S-USIH.